Welcome to the Days Hotel Singapore at Zhongshan Park. Located in the Novena vicinity, the hotel is just a 5-minute complimentary shuttle bus ride away from the Novena MRT station which is conveniently linked to shopping malls such as Velocity at Novena Square and United Square. The hotel is also a 10-15 minute drive to Orchard Road, Marina Bay and Central Business District. All guest rooms accommodate 2 adults and children under 12 stay free when using existing bedding with parents. Children under 6 enjoy free buffet breakfast. Guests at this hotel will find an all-day dining restaurant, fitness centre and Internet stations, as well as complimentary Wi-Fi internet access for in-house guests. Days Hotel Singapore is surrounded by an array of restaurants and next to a retail mall. A complimentary hotel shuttle between the hotel and the Novena MRT station, in both directions, is provided for all hotel guests. 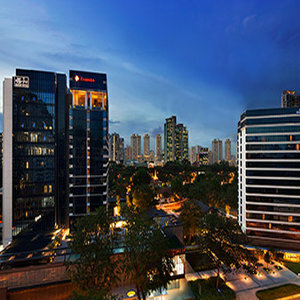 Days Hotel Singapore is a participating hotel of the Wyndham Rewards Program. Diners Club credit cards cannot be accepted at this property.